History: Sean O'Haire may have only a year of professional wrestling on his belt, but he's definitely considered one of the great stars of the future. O'Haire began training in martial arts when he was 10, while he was growing up in South Carolina. He also became a boxer, a shoot fighter, and a kick boxer, making a lethal combination that helped him a great deal when he graduated from high school and went on to the Ultimate Fighting Toughman competitions in North Carolina. O'Haire was a great success there, winning 17 tournaments over his fighting career. O'Haire also competed as a kick boxer, going undefeated at 20-0, and as a pro boxer, taking out 11 opponents without a loss. O'Haire later left both sports, opening a health club back in his home town of Hilton Head, SC, where he taught martial arts to younger athletes. But O'Haire was unsatisfied, and found another outlet for his energy by joining the WCW Power Plant at the end of 1999. 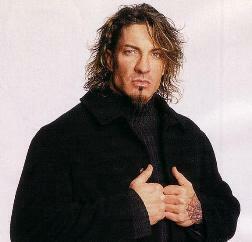 In June '00, O'Haire debuted on WCW television, wrestling with another young Power Plant trainee, Mark Jindrak. The two formed an unbelievable tag-team, which quickly made an impact, as they upset Rey Mysterio Jr & Juventud Guerrera. The upsets continued for the next month, as Jindrak & O'Haire took WCW by storm, winning match after match. A fan following soon followed for the two young stars, especially O'Haire, who flew high with his Seanton (Senton) Bomb. But O'Haire & Jindrak really didn't make a serious impact, until they joined up with Chuck Palumbo, "PerfectSean" Stasiak, Mike Sanders, Reno, & Johnny the Bull in the Natural Born Thrillers in August. The powerful force of unestablished wrestlers quickly reeked havoc on WCW, with O'Haire & Jindrak making a run at the tag-team titles, which were held by Kronik (Bryan Adams & Bryan Clark). The duo survived a Steel Cage Elimination match shortly before the PPV, which allowed them to be one of the teams in the bout at New Blood Rising, along with Kronik, the Perfect Event (Palumbo & Stasiak), and General Rection (Hugh Morrus) & Corporal Cajun (Lash LeRoux). The match quickly broke down into a melee, when "Commissioner" Ernest "The Cat" Miller inserted the Filthy Animals (whose team, Rey Mysterio Jr & Juvy Guerrera, had been eliminated in the Steel Cage match) as the special guest referees, with the Disco Inferno being the main one in charge. Things got worse when Vampiro & the Great Muta came down to interfere, creating a 6-team brawl in and out of the ring. In the end, the match was decided by Lt. Loco (Chavo Guerrero Jr), who came down, stripped Disco of the ref shirt, and made the count when Kronik took out Palumbo, retaining their titles. This twist led to increasing tension between the Natural Born Thrillers and the Filthy Animals, creating a war between the two stables. The Thrillers also turned on their 'trainer', "Mr. Wonderful" Paul Orndorff, who had been a major factor of the Power Plant at that time. Orndorff tried to fight off the numbers, but was being taken out, when the Filthy Animals made the save. At Fall Brawl '00, O'Haire & Jindrak made their first PPV appearance, siding with the rest of the Natural Born Thrillers against the Filthy Animals (Rey Mysterio Jr, Konnan, Billy Kidman, Disco Inferno, & Tigress), Orndorff, & Big Vito (who had been turned on by Johnny the Bull) in an Elimination Match. At first, troubles between the Filthy Animals gave the Natural Born Thrillers the advantage, as Disco Inferno accidentally hit his Last Dance finisher on Konnan, allowing O'Haire to get the first pin. Disco then had to stay in the ring, as none of the other Filthy Animals would tag him. Big Vito even went as far as to slug him, allowing Reno to get the pin and take him out. Vito & Reno then fought for a while, with Reno knocking out Vito with a kendo stick and eliminating him. This made it 7-4 odds, but Mysterio & Guerrera brought their team back, double-teaming Reno and eliminating him with Guerrera's Juvi Driver. O'Haire again took control of the match, though, hitting his Seanton Bomb on Juvi to take him out. Orndorff came into the ring, though, and showed that he knew everything that the Thrillers had learned, taking out Johnny the Bull with a Piledriver. But shortly thereafter, when attempting another piledriver, Orndorff seriously injured himself, and had to be carried to the back, ending the match as a No-Contest. At the next Nitro, O'Haire, Jindrak, Sanders, Palumbo, & Stasiak faced off against the two Filthy Animal survivors, Rey Mysterio Jr & Tigress. Despite the odds, the two Animals persevered, and eventually came out on top, a humiliating defeat for the Thrillers. Still, things improved for the Thrillers in later days, when "Coach" Kevin Nash began helping them towards the top of WCW. The new tutelage apparently paid off, as O'Haire & Jindrak competed in an Over-The-Top Battle Royal for the vacated WCW World Tag-Team Titles, against Rey Mysterio Jr. & Juvy Guerrera, Ron & Don Harris, the Jung Dragons, & 3 Count. After the other teams were tossed, O'Haire & Jindrak brutally beat on the smaller Mysterio Jr & Guerrera, and after a Seanton Bomb, the two tossed out Mysterio to win the titles, their first gold in WCW. With the new "Commissioner", Mike Sanders, on their side, O'Haire & Jindrak held a lofty advantage in the tag-team division. A few weeks after their reign began, it seemed that the two lost to the Boogie Knights (Alex Wright & Disco Inferno). However, Sanders came out and reversed the decision, giving O'Haire & Jindrak the chance to continue and get the victory. A few days later, they lost the belts to Cpl. Cajun & Lt. Loco, but once again, Sanders came out, congratulating the two M-I-A wrestlers for the victory, then making them defend the belts immediately. O'Haire & Jindrak quickly attacked the wrestlers from behind, taking them out and winning the belts back only a few minutes after losing them. This pattern continued for the next few weeks, leading up to Halloween Havoc, where the tag champs defended against Mysterio Jr & Billy Kidman and the Boogie Knights. The match went back and forth, as the Boogie Knights attacked both teams, changing alligiances many times. At the end, Disco hit Jindrak with his Last Dance, but then was taken out by O'Haire's Seanton Bomb, allowing the Thrillers to keep the gold. In November '00, the Natural Born Thrillers turned on "Coach" Kevin Nash, starting up a feud with him. O'Haire & Jindrak also continued to defend the tag-team titles, being signed to face the Boogie Knights at the Millenium Final in Germany. When the Disco Inferno was injured in the Battle Royal that started the night, Alex Wright got General Rection to join his team instead. In a surprising upset, the newly formed tag-team defeated O'Haire & Jindrak to take away the tag-team titles (it was later said that Wright & Disco had won). This left O'Haire & Jindrak in the background of the Thrillers, as only a few days later, the Perfect Event defeated Wright & Elix Skipper to gain the belts, keeping the former champs from being able to go for the titles. Instead, O'Haire & Jindrak aided the Thrillers as they warred against Nash and his new tag-team partner, Diamond Dallas Page (forming the Insiders). For the next few PPVs, O'Haire & Jindrak tried to help the Perfect Event retain the titles, but stipulations from the new CEO, Ric Flair, helped the Insiders get the belts. Still, O'Haire's efforts for WCW were recognized soon after, as he was named the WCW Rookie of the Year. 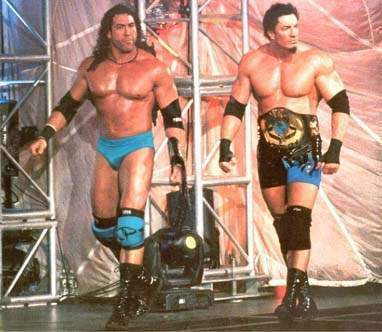 In 2001, the two main tag-teams of the Natural Born Thrillers switched, as O'Haire began joining up with Chuck Palumbo, in order to try to get the tag-team titles back. At WCW Sin, the first PPV of '01, the new duo faced off against the Insiders for the gold. The Insiders were again the stronger team, but interference from Lex Luger & Buff Bagwell helped turn the tide of the match, giving O'Haire & Palumbo the edge they needed to get the victory, gaining the World Tag-Team Titles for O'Haire's third reign. The win, however, caused jealousy to blossom from the other team, Mark Jindrak & Sean Stasiak. Tensions flared between the four teammates, and eventually caused the Natural Born Thrillers to splinter into various groups, as Jindrak & Stasiak demanded their shot at the belts. They got it at Superbrawl: Revenge, in a furious battle between the two formerly-allied teams. Near the end, a hurting Palumbo made the hot tag to O'Haire, who charged in and took control. After a superkick, O'Haire finished the match with his Seanton Bomb, making sure that he and Palumbo retained the tag-team straps. O'Haire & Palumbo next began feuding with Totally Buff (Luger & Bagwell), who claimed that they were the #1 Contenders after beating an injury-plagued Kronik at Superbrawl. After repeated skirmishes between the two groups, a match was signed for WCW Greed. At the event, O'Haire & Palumbo surprisingly dominated, tearing into the two wrestlers and quickly dismantling them. A Seanton Bomb less than a minute into the match sealed Totally Buff's fate, making O'Haire & Palumbo seem that much more dominant. O'Haire & Palumbo had one last test to get past in the Turner-ran WCW, as they were booked to defend the gold against Lance Storm & Mike Awesome of Team Canada at the Season Finale in March '01. In another spirited bout, O'Haire & Palumbo again came out on top, hanging onto the WCW World Tag-Team Titles as the federation came to a close. Near the end of June '01, the WCW Invasion had begun, with numerous WCW stars appearing in the WWF. During a WWF Tag-Team Title Tables match between the Dudley Boyz (champs) and the Hardys, O'Haire & Palumbo reappeared on the wrestling scene, attacking the remaining wrestlers in the match. O'Haire even hit the Seanton Bomb on a fallen Matt Hardy. But O'Haire & Palumbo then had to face the wrath of the WWF locker room, who had grown tired of the run-ins. The WCW Tag Champs tried to escape through the crowd, only to run into more wrestlers. With the odds being 20-2, there was no way for O'Haire & Palumbo to fight back, and they were badly beaten before being thrown out of the building. The team would get their revenge at the next Sunday Night Heat, though, ambushing the APA, the leaders of the attack, at WWFE New York. The next week, O'Haire & Palumbo made their first defense of the tag-team titles, beating Sean Stasiak & Kanyon. As the WCW Invasion grew in force, O'Haire & Palumbo became major factors, building up their feud with the APA. The two men were involved in several brawls between the factions as the PPV grew closer, and were part of the WCW team that turned on the WWF group and joined up with the resurrected ECW faction, making their Invasion even stronger. A match was later signed for WWF Invasion between the two tag-teams, pitting the champions against one another. A lot of hatred was shown during the fight, as O'Haire & Palumbo fought hard for the victory. Unfortunately, in the end, Bradshaw nailed Palumbo with the Clothesline From Hell and got the cover for the victory. O'Haire & Palumbo may have lost some momentum, but expect them to work to get it back in the coming weeks, possibly continuing to go after the WWF Tag-Team Champs. - Third Annual Brian Pillman Memorial Show = O'Haire was beaten by Chuck Palumbo. - WCW New Blood Rising '00 (August) = O'Haire & Mark Jindrak lost a Four-Corners match to the Tag-Team Champs, Kronik(Bryan Adams & Bryan Clark). General Rection & Corporal Cajun and the Perfect Event(Chuck Palumbo & Sean Stasiak) were the other participants. - WCW Fall Brawl '00 = O'Haire, Mark Jindrak, Chuck Palumbo, Sean Stasiak, Reno, Mike Sanders, & Johnny the Bull competed in an Elimination match against Rey Mysterio Jr, Disco Inferno, Konnan, Billy Kidman, Tigress, & Paul Orndorff. The match went to a No-Contest when Orndorff was injured. - WCW Halloween Havoc '00 = O'Haire & Mark Jindrak stayed the Tag-Team Champions, winning a Triangle Match over Billy Kidman & Rey Mysterio Jr and Alex Wright & the Disco Inferno. - WCW Millenium Final (November '00) = O'Haire competed in a Battle Royal, which was won by Mike Awesome. Later that night, O'Haire & Mark Jindrak lost the Tag-Team Titles to General Rection & Alex Wright. - WCW Sin (January '01) = O'Haire & Chuck Palumbo defeated Diamond Dallas Page & Kevin Nash for the WCW Tag-Team Titles. - WCW Superbrawl: Revenge ('01) = O'Haire & Chuck Palumbo retained the Tag-Team Titles, beating Mark Jindrak & Sean Stasiak. - WCW Greed (March '01) = O'Haire & Chuck Palumbo defeated Totally Buff (Lex Luger & Buff Bagwell) to stay the Tag-Team Champs. 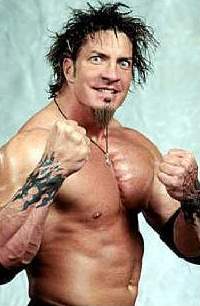 - WWF Invasion (July '01) = O'Haire & Chuck Palumbo fell to Bradshaw & Farooq of the aPa. - OVW Muncie Show (January 24, '02) = O'Haire & the Prototype were defeated by the Lords of the Ring. - USAW Lebanon Show (February 15, '02) = O'Haire & Mark Jindrak won over the Lords of the Ring. - USAW Nashville Show (February 16, '02) = O'Haire & Mark Jindrak fell to the Lords of the Ring. - USAW Nashville Show (March 9, '02) = O'Haire beat Rob Conway. - OVW Spring Break-Out '02 (April 5) = O'Haire & the Prototype fell to Ric & David Flair. - OVW Jeffersonville Show (April 10, '02) = O'Haire was taken down by Nick Dinsmore. Later in the night, O'Haire fell to Johnny Jeter. - HWA Batavia Show (April 27, '02) = O'Haire lost to the HWA Champion, Race Steele. - OVW Super Summer Sizzler Series (May 31, '02) = O'Haire fell to Redd Dogg. - OVW Super Summer Sizzler Series (June 14, '02) = O'Haire & the Prototype lost to Jerry Lawler & Nova. - OVW Super Summer Sizzler Series (July 19, '02) = O'Haire was taken down by Shelton Benjamin. - OVW Fall Brawl (September 4, '02) = O'Haire was beaten by Mark Jindrak. - WWE Backlash '03 = O'Haire won over Rikishi. - WWE Vengeance '03 = O'Haire competed in the "APA Invitational Barroom Brawl", which was won by Bradshaw. - OVW Hodgenville Show (February 21, '04) = O'Haire & Seth Skyfire beat Rob Begley & Mike Taylor. - OVW March Mayhem (March 6, '04) = O'Haire & Matt Morgan defeated John Laurinitis & Inspector Impact. - NJPW Nexess (May 3, '04) = O'Haire was forced to submit to Hiroshi Tanahashi. - Pride 32 (October 21, '06) = O'Haire lost in the first round to Butterbean.